This is not a webshop, and beside what’s listed under the “FOR SALE” tab in the menu, nothing presented here is for sale, so please don’t ask. If I have anything I would like to sell, I’ll post it in the “FOR SALE” section. Please consider this a work-in-progress, as the article will be updated as I find more info. In the eighties, the South California area was filled with awesome RC tracks, from the old large 1/8 tarmac on-road tracks to the now ever more popular 1/10 off-road dirt tracks. You had the famous RCH Raceway in Costa Mesa, MnM Hobbies in Corona, Ascot Raceway in Gardena, and the Race Prep Raceway in Chatsworth, just to mention a few. But there is one (well, actually three) that gets mentioned more than all the rest combined, and that is The Ranch Pit Shop Raceway, made famous due to hosting several World Championships, and for being owned by the Losi family. 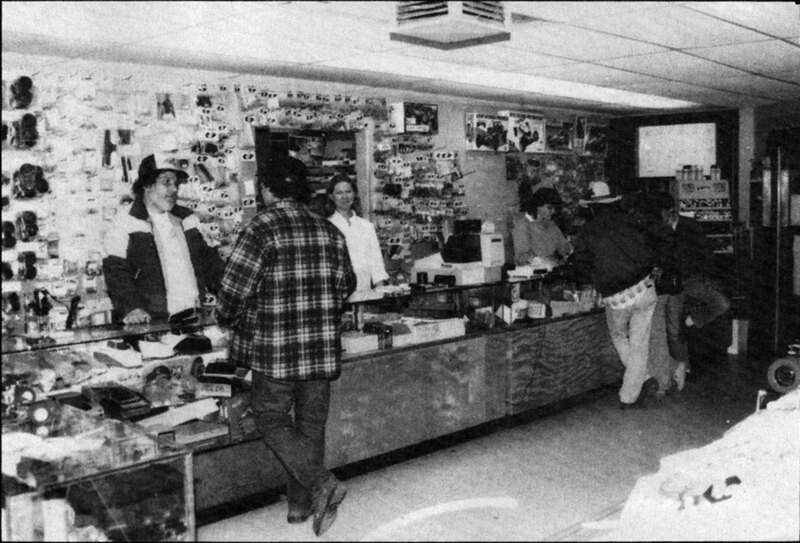 Due to various tracks at different locations during the eighties, the story of The Ranch Pit Shop has caused a lot of confusion, and I’m one of those who struggled to sort the facts from the misconceptions, the faded memories, and other sources of error. Many have strong and fond memories from the Ranch they normally used to frequent, but don’t seem to remember there were different “Ranches” spread around the SoCal area, others get the timelines wrong, and some just don’t know where, when, or why the “Ranch” story started. In this article I will focus on the locations and the timelines. I will not go in to stuff like team drivers, the Losi cars etc, but I will rather try clearing up some of the misconceptions, and make a clearer picture of the history of the legendary “The Ranch Pit Shop(s)”. 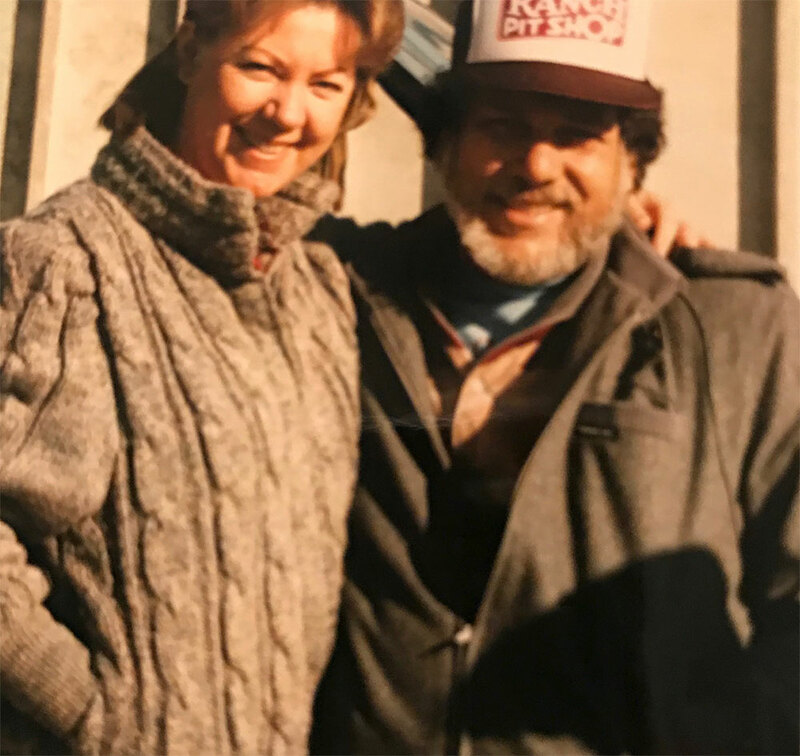 Gil “Pops” Losi Sr. and his wife Janet. The first “Ranch” was in an area in Colton, California, called Rancho Mediterrania. Today the area is called Cooley Ranch, and the track was at the property of the current Cornerstone Hospice. 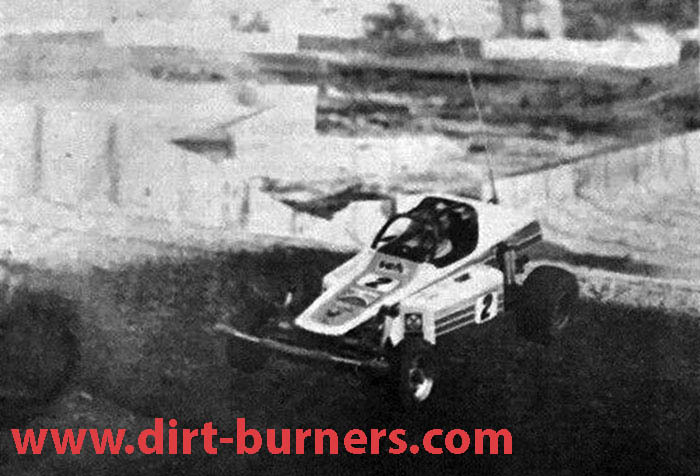 Dave Hiebert and his Tamiya Sand Scorcher from a race at the Ranch in 1981. Owned by the Losi family, the Ranch Pit Shop story starts in Rancho Mediterrania, Colton, California, where the Losi family decided to make an off road dirt track beside a skate park, called the “Colton Ranch Skatepark”. Aerial photos of the area from 1979 shows the skatepark, and what I believe is the beginning of the construction of the RC track. In the second photo from 1980 the track is surely there. There has been misconceptions that the Losis owned the skateboard park, too, but that was not the case. They had a small investment in it, and for a while Janet Losi, Gil Sr’s wife, worked there as a manager. Back then, both Gil Jr. and his brother Allen were devoted skaters, but time away from skating activities due to problems with his knees, led Gil Jr. in to buying a Tamiya Rough Rider. This is what started the family’s interest in RC cars, and the rest is literally history. 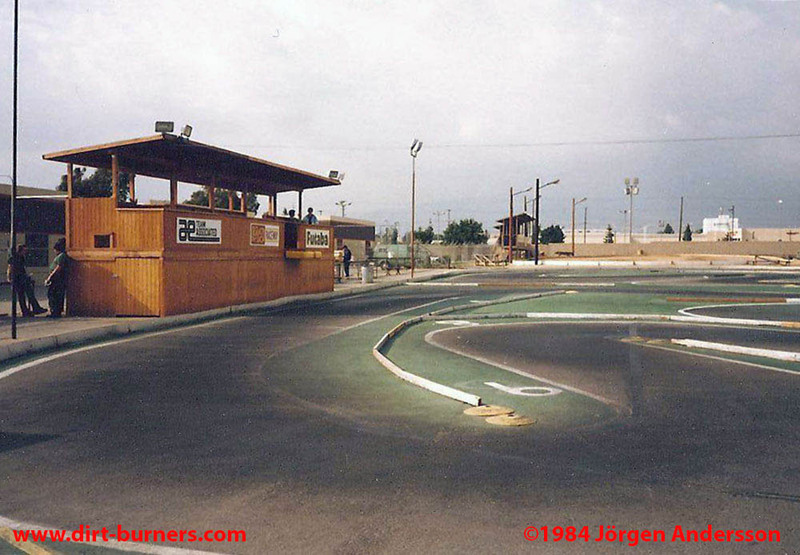 Gil “Pops” Losi Sr. opened a RC car shop and track adjacent to the skatepark property, and called it “The Ranch R.C. Raceway”. They also made a smaller practice track, just beside the shop. The practice track was tiny, with just 3 ft wide lanes. Just as the 1/10 off-road craze started, and the popularity of the Tamiya SRB’s went through the roof, a full container of Tamiya kits from Japan was damaged due to a fire aboard the container ship. Parts of the ship’s hull were flooded to put out the fire, and all kit boxes were ruined due to the water damage. Pops Losi bought the lot from the insurance company, salvaged as many parts as possible, and sold them individually as spares. Realizing the potential of the spare parts/hop-up market, Losi also cut a deal with a company called NMB Bearings, to buy every single ball bearing they made of the sizes used on the Tamiya cars. For the price of 4 Tamiya bearings, you could now buy a full set of bearings for the SRB, and the shop made a lot of money from those deals. 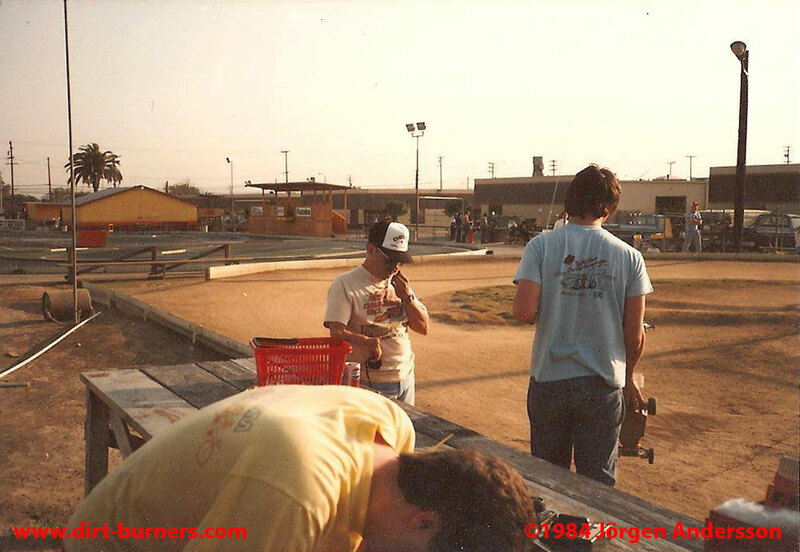 Pops Losi’s Tamiya Rough Rider at the Ranch RC Raceway in Colton, 1981. In the early 80’s the majority of skateparks were closed down, due to the new “trend” of suing the owners whenever someone was hurt or injured while skating in the parks. This also affected the Colton skatepark, and in 1983 both the skatepark and the RC track were closed and demolished. In the aerial photo from 1976 you can see the early 1/8 track (Thorp Raceway). The area between the 1/8 track and the go-cart track (the green patch in the 2019 picture), is where the 1/10 off-road track would be built by Bob Vehle in the early 80’s. I have unfortunately not been able to find good aerial photos from the 80’s. After the Colton Ranch was closed, Pops Losi bought “Vehle’s Pit Shop” in Pomona, California, from Bob Vehle. Vehle had in turn bought the track and shop from John Thorp, just a year or two earlier, and added a 1/10 dirt track to the original and legendary 1/8 on-road track that was known as the “Thorp Raceway”. The legendary 1/8 on-road track at the Ranch Pit Shop in Pomona in 1984, formerly known as the Thorp Raceway. So when the Losis moved their “Ranch R.C. 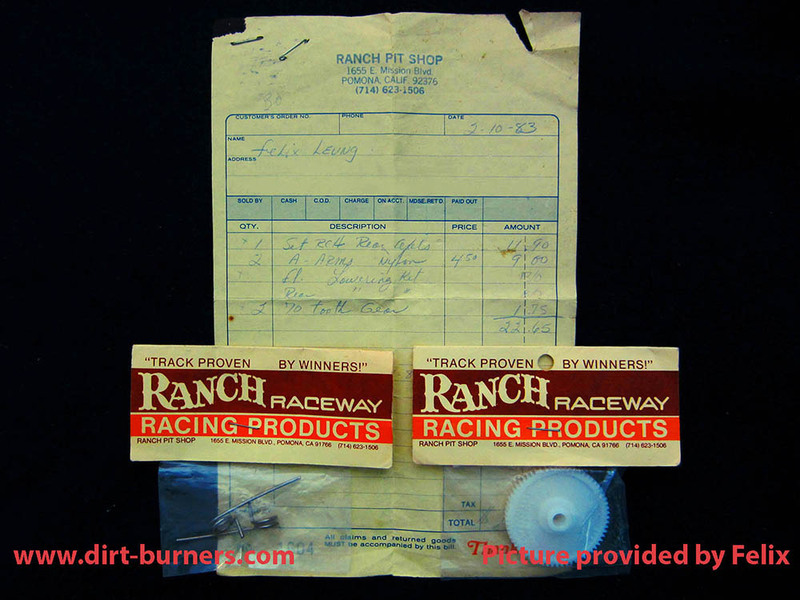 Raceway” to “Vehle’s Pit Shop”, the names were combined into “The Ranch Pit Shop” and “The Ranch Pit Shop Raceway”, names that now are carved into the RC history. At the off-road track in Pomona there were races on Wednesdays, Fridays and Sundays, and they were very popular with 75+ entries for every race. Pops Losi at the counter inside the shop in Pomona. Since the Pomona location was the longest lasting “Ranch”, this is the place most people think of when they hear the name “The Ranch Pit Shop”. This was the place Gil Jr., as a part of the Associated team, tested the RC10 prototypes, where the Yokomo YZ-834B Dog Fighter was refined into the RPS/Yokomo SE, where the Losi Jrx2 was born, where Bob Novak tested his first ESC’s, and the playground for many to-be legends of RC. If American 1/10 off-road racing ever had it’s own Mecca, this surely was it. To those of us, living in a “galaxy far-far away”, this sounds and feels like nothing but Paradise. Gil Losi Jr. testing the RC10 prototype in Pomona in 1984. The guy standing to the left, seemingly only half interested in this glorious moment in RC history, is 1/8 on-road legend and World Champion Arturo “Art” Carbonell. The third Ranch was at a leased location in Del Mar. Just like the original Colton Ranch, this track was right beside a skatepark, something that has caused some confusion, with people (including me) mixing the two locations. The mini-golf and tennis fields seen in the 1986 picture are still open today. 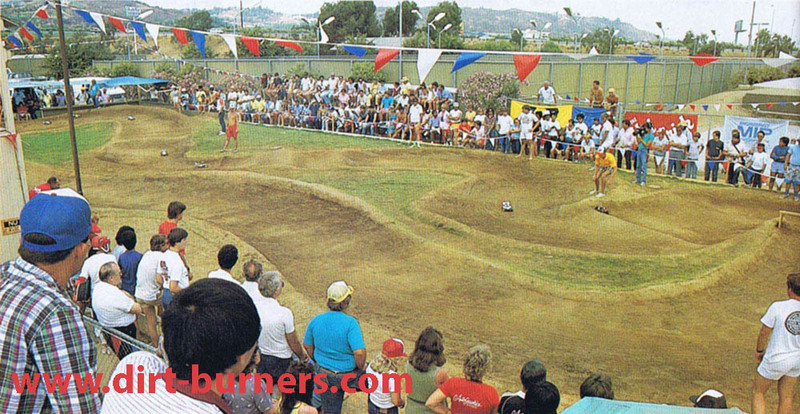 In 1984 the Losis took over the lease for a 1/10 track and shop in Del Mar, California, just beside the Del Mar skateboard park, and named it “The Ranch Pit Shop Raceway – Del Mar”. 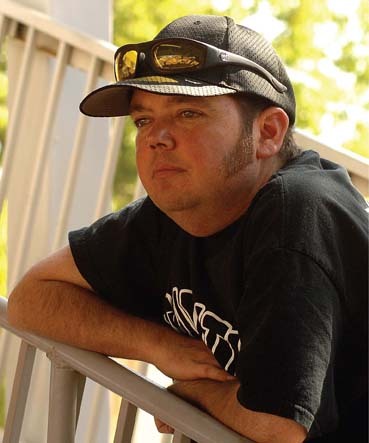 The idea was supposedly that Allen Losi, who by then was a pro skateboarder, should run the shop and track. But the rumors say that he would rather skate, so the shop/track didn’t do that well. Racing at the Ranch Pit Shop, Del Mar. The track (and skatepark) in Del Mar closed down in July 1987, after the property owner had sold an adjacent property to a hotel developer, and they didn’t fancy the skateboard clientele so close to the classy hotel. In August 1987 everything were demolished. But even though the Del Mar Ranch only lasted for about 3 years, it managed to carve itself into the 1/10 off road history books for eternity, by hosting the very first IFMAR 1/10 Off-Road World Championship in 1985, where of course Gil Losi Jr. were crowned World Champion in the modified class. 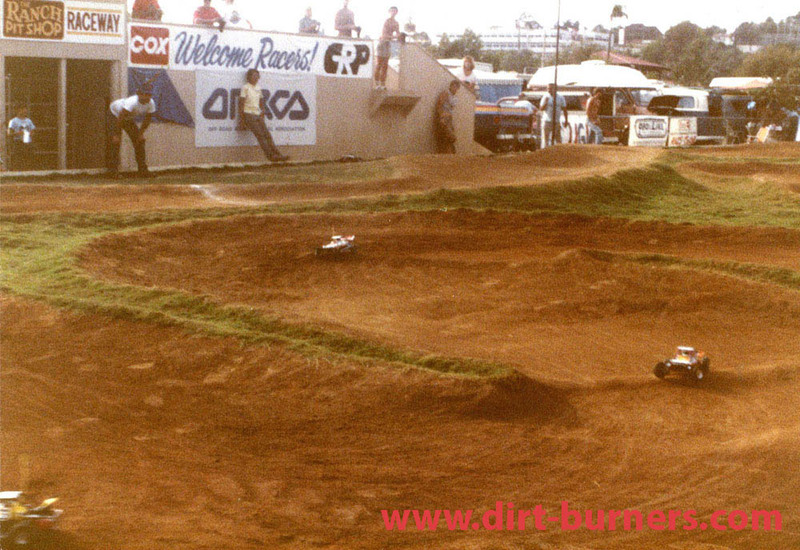 From the 1985 IFMAR World Championships at the Del Mar Ranch. By 1987 there were only the Pomona Ranch left, and it stayed in the hands of the Losis until sometime in the late 1990’s (? ), when it was sold to Jim and Jammin’ Jay Halsey. Gil Jr couldn’t remember exactly when the Pomona Ranch was sold, but has promised me to bring this up with Pops. Thanks to Kent Clausen for helping me finding the Del Mar site, and to Jeff Maurer for pinpointing the location of the Colton track, as well as providing me with invaluable info and details. Also a big thanks to Gil Losi Jr. for kindly answering my many e-mails. Your help in getting these stories out are priceless. Some of the pictures I have scanned from various magazines, and others are collected from various web sites during the years that I possibly can’t remember. If you’re the owner of one or more of the pictures, and want them taken down, please contact me, and I’ll do so. However, I’m hoping you will allow them to stay in place, if I add your credits to them. If you have anything to add, or if you feel something should be corrected or edited, please contact me, and we’ll talk about it. I’m always interested in stories and photos related to the various “Ranches”. I have been into RC cars since the beginning of the 80's, but have really never been much of a racer. I competed in some local races and some "Tamiya Cups", and actually came 6th in the Tamiya Cup Norwegian Nationals in 1987. My main interest has always been building and modifying, and that's where I still am today. Through the years I have been able to build a solid network of contacts around the world, consisting of both former and current members of the industry, as well as quite a few of the former top drivers. 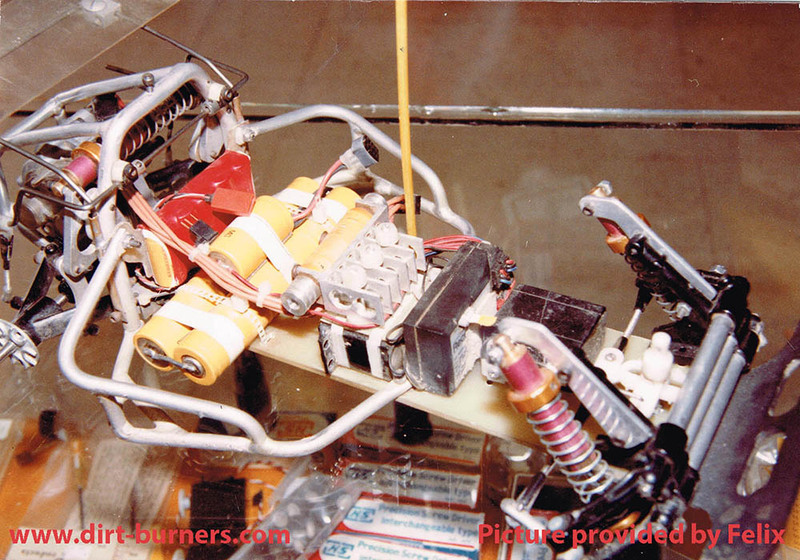 I have a genuine interest for the history of the 1/10 scale off-road buggies from the 80's. Great article. yes, those were the days. I ordered all my custom SRB parts from them. Here are couple of pictures. Custom SRB display in the Ranch Pit Shop. My invoice and some SRB parts. Pictures did not show up. Please delete the comment. I shall re-post my coomment on your facebook. Thank you Felix, fantastic pictures! The reason they didn’t show is that the message was stopped by the anti-spam system. The system doesn’t like links, and automatically flags the posted message for review. I have approved it, and embedded the pictures. The SRB picture posted by Felix has been confirmed by Gil Losi Jr. to be his winning car from the 1982 MRC/Tamiya Off Road Championship at the Score show in Anaheim.